Philips showed of its new range of Blu-ray players at this year's IFA conference, with colour being very much the order of the day. Pictured here is the BDP7500, a player which offers BD-Live, HD audio support and high quality DVD playback. Philips is calling it "compact, extremely easy to use and affordable". And who are we to argue. Well, the company hasn't announced prices yet, so we can't argue on that point. While the press release issued out for the BDP7500 states that the players will only be available in Silver and Black, TechRadar did notice on our tour of the stand, that Philips is showcasing a number of colourful versions of the machines. Quite why the company is keeping schtum about these new colourful machines is beyond us but we hope they hit the UK early next year, alongside the traditionally coloured versions. 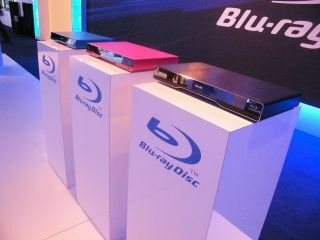 Also announced were the BDP9500 Blu-ray player, which is being toted as a more sophisticated machine. These players use something called Qdeo video processor and the BDP9500's feature premium design in solid 3mm aluminium. There's also a budget machine available, called the BDP300. Like the BDP750, this player offers BD-Live, HD audio support and high-quality DVD playback. Below are images of the BDP7500 in the more traditional black and siver.